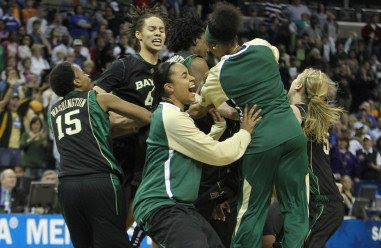 Baylor's youth nearly cost the Lady Bears a trip to Final Four, and ended up saving the day. Phenomenal freshman Brittney Griner caught a pass, spun around and hit a short jumper with 45 seconds left to propel fourth-seeded Baylor to a 51-48 win over No. 2 seed Duke on Monday night for its second trip ever to the Final Four. What is Patosha Jeffery Basketball? 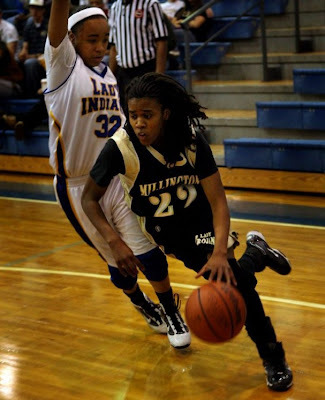 Patosha Jeffery Basketball is more than a business but a passion. It’s my passion to give back to young ladies involved in basketball. I host training sessions, camps, and tournaments teaching the fundamentals of the game and helping the young ladies market their skills to college coaches and recruiters. My main website is www.GirlsBasketballTrainer.com. How did you get started in this business? I’ve been involved in basketball since I was in elementary school which eventually lead to playing on my junior high, high school and college teams. When I got to college, I decided that I had to teach players what I was learning on the college level. I felt if I could give them the knowledge that I was getting, how much more advanced they would be. 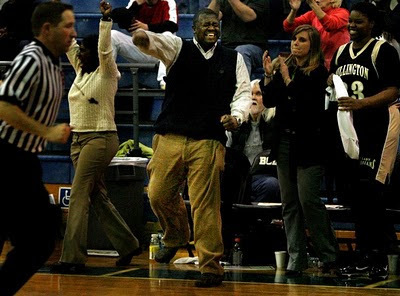 How long have you been with coaching basketball? I started out coaching around 2002. But my heart has always been into training and teaching the fundamentals of the game. So I stopped coaching in 2006 and started hosting shooting clinics and training sessions in 2007. The 2010 McDonald's All-American activities kicked off yesterday in Columbus, OH. Here is the the Girls Basketball Rosters. Alicia DeVaughn, Ely (Pompano Beach, Fla.); Stefanie Dolson, Minisink Valley (Slate Hill, N.Y.); Bria Hartley, North Babylon, N.Y.; Kaneisha Horn, Ramsay (Birmingham, Ala.); Natasha Howard, Waite (Toledo, Ohio); Maggie Lucas, Germantown Academy (Fort Washington, Pa.); Kayla McBride, Villa Maria (Erie, Pa.); Laurin Mincy, University (Newark); Jennifer O'Neill, St. Michael Academy (New York); Haley Peters, Peddie School (Hightstown, N.J.); Ronika Ransford, H.D. Woodson (Washington, D.C.); Samarie Walker, Chaminade-Julienne (Dayton, Ohio). Aaryn Ellenberg, Bishop Gorman (Las Vegas); Karla Gilbert, Consolidated (College Station, Texas); Chelsea Gray, Saint Mary's (Stockton, Calif.); Richa Jackson, Midwest City, Okla.; Afure Jemerigbe, Saint Mary's (Stockton, Calif.); Tiffany Moore, Frisco, Texas; Chiney Ogwumike, Cy-Fair (Cypress, Texas); Theresa Plaisance, Vandebilt Catholic (Houma, La. ); Lindsay Sherbert, Great Oak (Temecula, Calif.); Meighan Simmons, Byron P. Steele II (Cibolo, Texas); Odyssey Sims, Irving (Texas) MacArthur; Madison Williams, Detroit Country Day (Beverly Hills, Mich.). Chelsea Gray St. Mary’s Stockton, Calif. 5'11"
Chiney Ogwumike Cy-Fair Cypress, Tex. 6'3"
Kaleena Mosqueda-Lewis Mater Dei Santa Ana, Calif. 6'1"
Odyssey Sims MacArthur Irving, Tex. 5'8"
Natasha Howard Waite Toledo, Ohio 6'3"
Elizabeth Williams Princess Anne Virginia Beach, Va. 6'3"
Richa Jackson Midwest City Midwest City, Okla. 6'1"
Shoni Schimmel Franklin Portland, Ore. 5'9"
Bria Hartley North Babylon North Babylon, N.Y. 5'10"
Alyssa Thomas Central Dauphin Harrisburg, Pa. 6'1"
The buzz: This is the first meeting between the two teams. Baylor is looking for a return trip the Final Four, where it won the 2005 national championship, defeating Michigan State, which at the time was coached by Duke coach Joanne P. McCallie. The Blue Devils are playing in their eighth regional final in the past 13 seasons. Both squads are among the nation's top rebounding teams with Duke out-rebounding its foes by an average of 9.1 and Baylor out-rebounding opponents by 8 a game. Baylor 6-8 freshman Brittney Griner has blocked 24 shots in her last two games. Quotable: "Obviously, she poses a different challenge because of her height. But with the schedule we've played, I've played against some of the best posts in the country. It's just another opponent, another game, another day." -- Duke center Krystal Thomas on facing Griner. I rode down to the FedEx Forum to get a peek at Baylor, Tennessee, and San Diego State..
Brittney Griner was dunking left and right. Tennessee's team looked huge and very orange-like.. And San Diego State's shooters were getting ready for tomorrow's match. This weekend kicks off the Spring season. In Memphis, MAYB will be hosting their MAYB/MEMPHIS,TN-III" TOURNAMENT. The high school division will feature Memphis Select and Team Idlewild Fury. Senior Girls Basketball players in the Memphis and Mid South area it may not be too late to play college basketball. Please get this information to me by April 1st. Coaches are contacting me asking who is still available. Players, Coaches, Parents please pass this information on to others. It is set for the NCAA Womens Memphis Region at the FedEx Forum. Friday's open public practices: Baylor, noon-1 p.m.; Tennessee, 1:05-2:05 p.m.; San Diego State, 2:10-3:10 p.m.; Duke, 3:15-4:15 p.m. While the Memphis Men's Basketball team season is over, the Memphis Lady Tigers are still in the hunt for a post season championship. 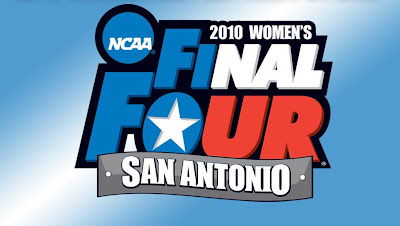 They have reached the final four of the inaugural Womens Basketball Invitational. The Lady Tigers will host Texas A&M-Corpus Christ Thursday at 7 p.m. in the Elma Roane Fieldhouse. 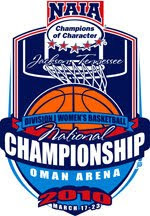 Union (Tenn.) University claimed its second consecutive NAIA Division I Women’s Basketball National Championship with a 73-65 victory over Azusa Pacific (Calif.). 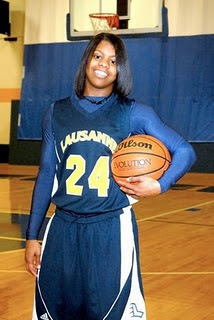 Recently SoSportz caught up with Lausanne's Lauren Avant for an interview. How do you feel about being a future Lady Volunteer? I honestly can't wait to get up there. I feel like it's been forever since I've committed, and I can't wait to get up there to play. I was born a Lady Vol; it's always been my dream school and pretty much the only school so I plan on making the best of this opportunity. The recruiting process was hectic. It started in like 8th grade; my AAU coach was my stepfather, so they could contact us legally. Then I started getting contacted illegally, and NCAA ended up checking my phone bill monthly. They came to my house and investigated. It was crazy, and that's part of the reason it ended so early. It's really hard getting to know all of these coaches and realizing how they're just great people, then choosing another school. The recruiting process is just stressing. 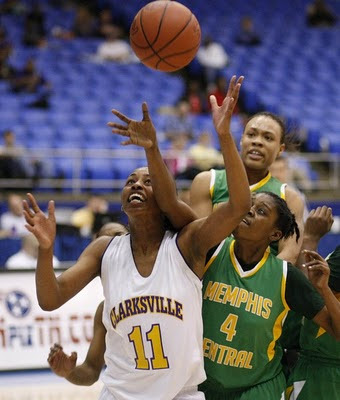 Well, the TSSAA Girls Basketball State Tournament didn't go to well for Central and Overton. As you know both squads were knocked out in the semi-final. However, ESPN Hoopgurlz, Mark Lewis, felt Central sophomore, Danielle Ballard, and freshman, Nina Davis', performance were amongst the top. Danielle Ballard: One thing any recruiter or evaluator likes to see, especially in an elite prospect, is the continued improvement and maturation of that player's game and demeanor. Ballard is an extraordinary talent and certainly no secret but at the same time she's had moments where she's been her own worst enemy on the court. The 5-8 point guard evolved as a sophomore and established herself as one of the premier point guards nationwide in any class. Her command and control of the ball, her team and her emotions is starting to equate itself with the possibilities everyone has seen over the last two seasons. Her speed and strength give her the ability to create off the dribble in the face of any defender. Acceleration, penetration and elevation may sound like some poorly written hip hop lyrics but they define Ballard. Consistency from the perimeter is a must to keep opponents closing out on her. In two tournament games she averaged 15 points and a point guard impressive 14.5 rebounds. Turnovers are more of an issue than they need to be but very correctable if she continues to focus. 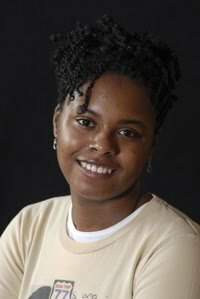 Nina Davis: It's hard to talk about the freshman class in Tennessee and not include the 5-9 combo guard from Memphis Central. Just like her sophomore teammate Danielle Ballard, it's been a season of progress and advancement in her game. She's constantly pushing the ball in transition and has the ability to play at speed and still make good choices most of the time. Physically she's beginning to fill out and the addition of size and strength to her frame can't be good news for opponents. Her attack and one on one skills get her into the paint and her floater is becoming more and more of a reliable weapon. The perimeter threat is still a work in progress but even at the line it's obvious she's working at it. 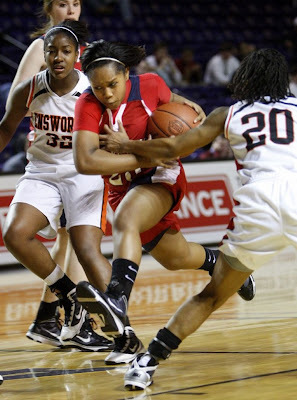 Defensively she's aggressive and active on ball which puts her in a great position to dictate to ballhandlers. 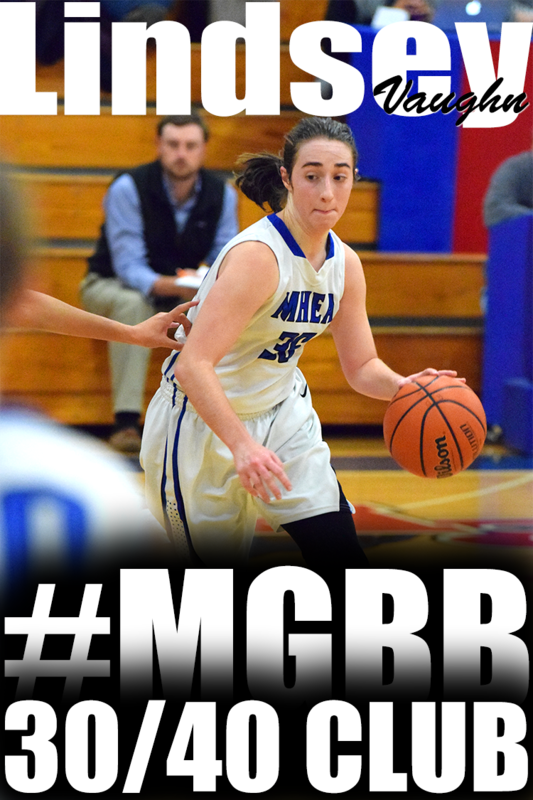 Her two game averages were 15.5 points per game on 55 percent from the floor and 7.5 rebounds. It is Spring Break season for the Memphis area. It would be the perfect time to host a 3-5 day Spring Break Camp to get you ready for the upcoming AAU/Travel/MAM League/Spring League seasons, especially since I am the Girls Basketball Trainer. Unfortunately, I'm not hosting a 3-5 day camp. Downloadable general workout program designed by me, Patosha Jeffery, to help you transition from your school season into the spring season. I am embarrassed!! How in the world do we have a National Championship in our backyard and I not know about it. The Championship final will be televised live nationally on CBS College Sports Televison with tip-off 9:00pm CDT. I was checking out one of my favorite websites, Forbes.com. Yes, I read Forbes. If you don't know what Forbes is, it is one of the leading business magazines well-known for its lists, including its lists of the richest Americans (the Forbes 400) and its list of billionaires.. 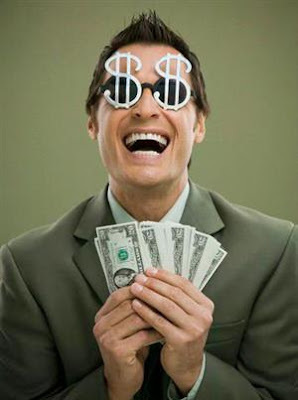 I found an article on the Highest Paid College Basketball Coaches. After reading the article, I had to see where Pat Summitt and Geno Auriemma ranked.. This is what I came up with. The University of Memphis women's basketball team is returning to the post season. The Tigers have accepted a bid in to the Inaugural Women's Basketball Invitational and will host UMKC in the opening round, Thursday, Mar. 18th at the Elma Roane Fieldhouse at 7 p.m. The Women's Basketball Invitational (WBI) is a 16-team, single elimination tournament that was created this season to address additional post-season opportunities for women's college teams who did not make the NCAA tournament field. Maryland, Syracuse, Illinois and Arizona State highlight the Women's National Invitational tournament field, which expanded to 64 teams for the first time this year. The WNIT awarded automatic bids to each of the nation's 31 conferences, giving the spot to the highest finisher in the regular-season conference standings that isn't going to the NCAA tournament. The NCAA Womens bracket is out. And as usual, I am SUPER EXCITED!! The last time I attended a NCAA tournament game, I was playing in it. We traveled to Austin, Texas and played against Notre Dame. We lost, but it was a great experience. Not to many individuals can say they played in the NCAA tournament. The next best thing to playing in the tournament is witnessing it. And we have the opportunity in Memphis to host the Sweet 16 and Elite 8 rounds at the FedEx Forum. WOW!!!!!!! I will be there and guess who may be coming. Pat Summitt and the Tennessee Lady Vols. Have you ever heard the saying "Your Attitude determines Your Altitude". The way you think about situations in basketball will determine how far you will get in your basketball career. In this video, I explain how coaches determine who will get in the game during certain situations. I also talk about my philosophy of how great players become great (Next Top Baller). Seven freshmen and sophomores make up the bulk of Central’s girls basketball roster. The Lady Warriors haven’t played like a team of underclassmen. Central, which finished Class AAA runner-up a year ago, beat Clarksville, 55-50, on Thursday night at Murphy Center in the Class AAA state quarterfinals. Central (27-3), will play top-ranked Morristown West (33-1) at 5:30 p.m. today in the Class AAA state semifinals. Neither Central nor Morristown West has lost to an in-state opponent this season. Central (55) -- Danielle Ballard 18, Michella Carter 6, Nina Davis 14, Malaika Moore 3, Jalen O'Bannon 6, Aaliyah Whiteside 8. Clarksville (50) -- Parr 2, Cooper 5, Graves 18, Ward 4, Gray 11, McWilliams 2, Nicholson 8. Records -- Central 26-3, Clarksville 30-4. Overton guard Jasmine Robinson took a shot to the mouth Thursday afternoon late in her team’s Class AAA state quarterfinal with Oak Ridge. Robinson simply put her jersey over her mouth. The Alabama signee was used to the scrappy play. Robinson scored a game-high 18 points to lead the Lady Wolverines to a 47-42 win over Oak Ridge in their TSSAA Class AAA state quarterfinal at Murphy Center. It marks the second consecutive season that Overton has reached the state semifinals. 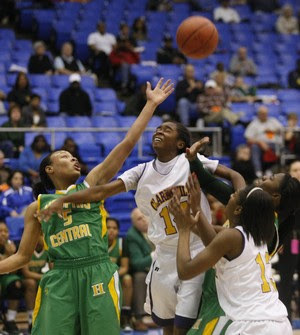 Oak Ridge (42) — Dequesha McClanahan 9, Jazzmin Hazzard 13, Armeka Booker 20. Overton (47) — Lakeria Crowder 7, Cortrice Golden 10, Jackeya Mitchell 4, Jasmine Robinson 18, Karisma Tyson 3, Orlandria Williams 5. Records — Oak Ridge 28-6, Overton 30-3. Overton defeats Oak Ridge 47-42 in first round of play. Jasmine Robinson with 18 points and Cortrice Golden with 10 points. Jasmine Robinson's 18 points led Overton to a 47-42 win over Oak Ridge in today's Class AAA state girls quarterfinal game at the Murphy Center on the campus of Middle Tennessee State University. Overton trailed 15-8 near the end of the first quarter, but Marshall signee Orlandria Williams hit a 3-pointer as the quarter expired to cut Oak Ridge's lead to 15-11. The Lady Wolverines then scored the first eight points of the quarter to take a 19-15 lead. Oak Ridge answered with four points to tie the game at 19, before Overton scored the final seven points of the quarter to grab a 26-19 halftime lead. Overton led the entire second half, but Oak Ridge did close within one point at 43-42, with 1:09 left in the game. But, Williams hit a jumped shot with 53 seconds left and Jackeya Mitchell added two free throws with 22 seconds remaining to send the Lady Wolverines into Friday's semifinal round against Murfreesboro Riverdale. A year ago, a Central team with three Division 1 signees and two talented freshmen came within a last-second shot by Nashville Hillsboro of winning its first girls state title since 1922. This year, the safety net that Erica Burgess, Jasmine Taylor and provided is gone, and the Warriors' fate is firmly on the shoulders of sophomores Danielle Ballard and Aaliyah Whiteside and freshman point guard Jamila AjanakuNina Davis. Meanwhile, Overton is led once again by a marquee player -- Alabama-bound senior Jasmine Robinson -- and most of the same supporting cast from a team that lost to Hillsboro by 10 in the semifinals last season. 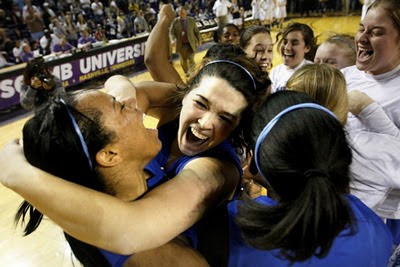 Tickets are on sale now for the 2010 NCAA Women's Basketball Memphis Regional hosted by the University of Memphis on March 27 & 29th at FedExForum. Three games will be played as part of the NCAA tournament, with the winner advancing to the NCAA Women's Final Four in San Antonio. Ticket packages, covering all three games of the Sweet 16 and Elite Eight, are $53 and every person, regardless of age, must have a ticket to enter FedExForum. Game times are 11 a.m. and 1:30 p.m., on Saturday, March 27, and 6 p.m. on Monday, March 29. There will be an open practice day for fans to watch the four teams practice on Friday, March 26, from 12 p.m. - 4:15 p.m. Admission is free on Friday for the open practices. Adult single session tickets are available for $27. Group tickets (minimum of 15 people) can be purchased for $10 per person for a single session or $18 per person for both sessions. Tickets may be purchased by money order, MasterCard, Visa or Discover through the FedExForum box office at 901-205-2643 or in person from 10 a.m. - 5:30 pm, Monday - Friday. Memphis Overton vs. Oak Ridge, 1 p.m.
Riverdale vs. Mt. Juliet, 2:30 p.m.
Morristown West vs. Walker Valley, 4 p.m.
Memphis Central vs. Clarksville, 5:30 p.m.
Christ Presbyterian Academy vs. Gibson County, 4 p.m.
Polk County vs. South Greene, 5:30 p.m.
North Greene vs. Middleton, 10 a.m.
Jackson County vs. Coalfield, 11:30 a.m.
CSAS vs. Scotts Hill, 1 p.m.
Moore County vs. Wayne County, 2:30 p.m.
Manassas (44) -- Jamie Bond 2, Felicia Johnson 7, Denise Johnson 1, Tiffany Jones 4, Cratisha Jones 15, Desiree Phillips 1, Jamille Reed 2, Victoria White 12. Gibson Co. (98) -- Heather Butler 39, Heather Griffin 21, Courtney Haynes 15, Chelsea Joyce 2, Megan Porter 2, Aubry Reedy 8, Tori Reedy 2, Kelly Tyree 2, Jasmine Whittemore 2, White 5. Records -- Manassas 24-6, Gibson Co. 32-1. Jackson Northside (56) -- Jessica Cobb 7, Victoria Douglas 3, Jalita Fason 10, Alex Hill 16, Brendi Stokes 10, Monica Womack 10. Central (59) -- Danielle Ballard 22, Darianne Butler 2, Michella Carter 2, Nina Davis 15, Finesse James 3, Jalen O'Bannon 3, Aaliyah Whiteside 12. Records -- Jackson Northside 26-2, Central 25-3. 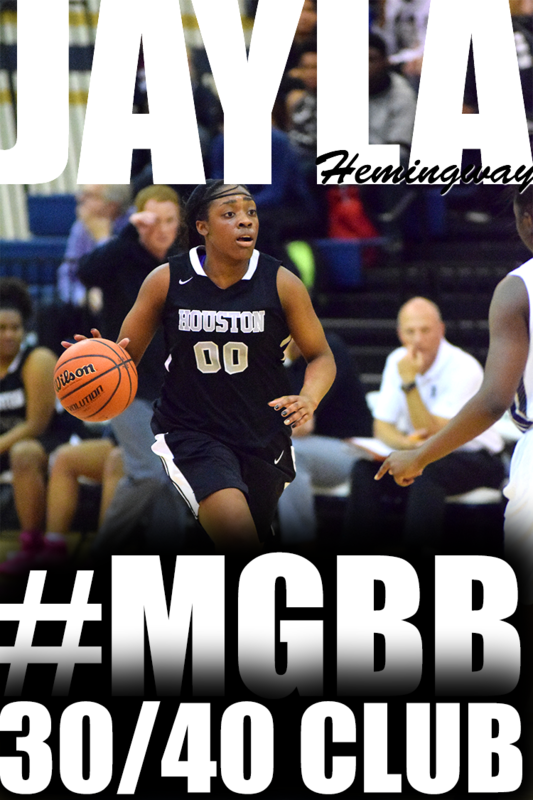 Harding (52) -- Alex Black 19, Ki'ana Christy 1, Kaylah Keys 22, Alle Logan 10. Franklin Road Academy (43) -- Mariah Canady 11, Katie Coben 5, Erin Ford 4, Erica Haselton 2, Christine Matthews 2, Abby Wharton 10, Derica Wyatt 9. Records -- Harding 27-6, Franklin Road Academy 26-5. 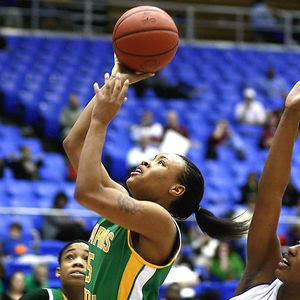 Briarcrest (40) -- Dakota Doss 5, Emoni Harvey 3, Amy Metcalfe 15, Anne Panagon 6, Robyn Peete 4, Taylor Pugh 7. Ensworth (57) -- Jamie Allsmiller 11, Brandi Byner 3, Kyara Byner 8, Marie Carpenter 18, Christina Slay 15, Justice Sweet 2. Records -- Briarcrest 23-6, Ensworth 25-4. 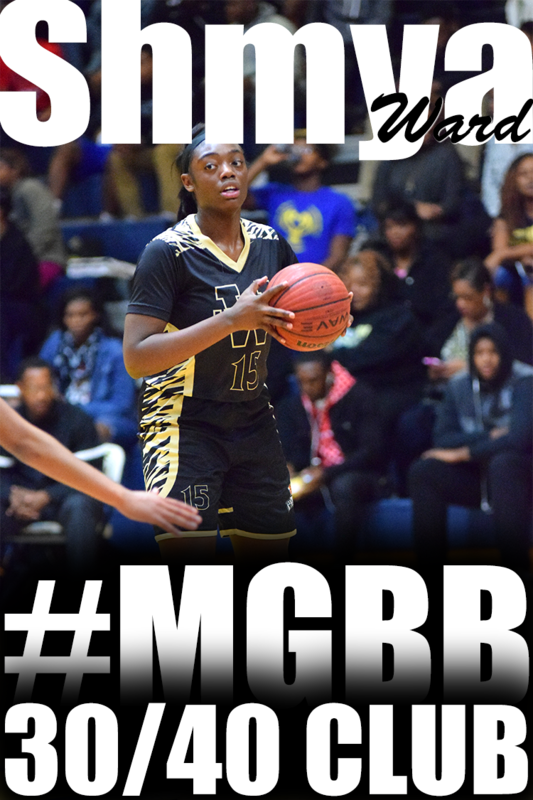 Jasmine Robinson got enough spark from her Overton teammates to ignite her offense. And just enough defensive help to stop Millington star senior Jasmine Newsome in time for a 51-49 Class AAA sectional victory Saturday at Millington. "She's (Newsome) a beast when she gets going, and we had to rotate and get people on her," said Robinson, who had 17 of her 26 points in the second half -- including her team's last 10 in the final period. "But today we showed again, that this team isn't about just me." It was the second straight year the Region 8 runner-up Wolverines (29-3) scored a road sectional victory over the Region 7 champion Trojans (33-3). "This time we're coming home with the (golden) ball," said Alabama signee Robinson, whose team lost in the state semifinals last year to eventual champion Nashville Hillsboro. Senior forward Orlandria Williams stepped up with 10 of her 12 points in the third period, and Robinson scored Overton's other seven to close a 31-22 halftime gap to 42-39. "That forced them to think about other people, and that created space for me," Robinson said. The Wolverines shut out Millington for the first 5 1/2 minutes of the final quarter to take a 49-42 lead on eight straight Robinson points. Robinson added two free throws with 1:15 left to make it 51-46, countering back-to-back baskets by Millington sophomore Jasmine Prophet. But Newsome, a UT-Martin signee, stepped up with a driving off-balance basket and a foul with 36 seconds left. She hit the free throw, cutting the deficit to two and giving her 25 for the game. Overton missed two one-and-one free throw tries -- the last by Robinson with 12.7 seconds left. But Robinson stole a Newsome pass in the lane to snuff out one Millington possession. And with three seconds left, Newsome threw a wild pass that effectively killed any attempt at a final shot. "It hurts, because we had such a good season," said Millington coach Stan Gatlin, whose team reached the 2008 state final. "But we started watching, instead of executing, and made some bad decisions." Central 59, Jackson North Side 56: The Lady Warriors trailed the Lady Indians, 19-13, after one quarter of play in Saturday's Class AAA sectional at Central, but rallied to win behind 22 points from sophomore Danielle Ballard. Central (25-3) earned a spot in this week's state tournament in Murfreesboro. The Lady Warriors were the 2009 state runners-up. Freshman Nina Davis added 15 and sophomore Aaliyah Whiteside chipped in with 12. Harding Academy's Ashley Rush, center, embraces teammate Christina Brown after winning the state championship game in Nashville Saturday. 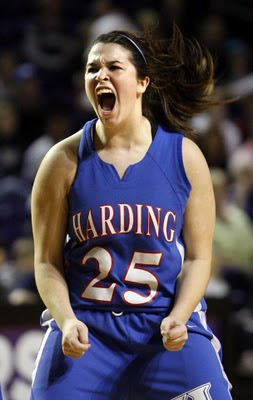 Harding Academy senior Alex Black couldn’t find the words to describe the feeling of winning a girls basketball state championship. The Lady Lions came back from a 12-point deficit to beat Franklin Road Academy 52-43 for the Division 2-A state championship Saturday afternoon at Lipscomb University. Pope John Paul II (45) -- Baechie 20, Mosby 5, Hammer 5, Hinson 5, Pell 6, Galvin 4. Briarcrest (54) -- Dakota Doss 4, Emoni Harvey 8, Amy Metcalfe 11, Anne Panagon 14, Robyn Peete 5, Taylor Pugh 12. St. Benedict (51) -- Nikki Benedetti 12, Kayley Coggin 2, Symone Daniels 16, Allison Hotz 6, Madison Luckett 2, Elaina McCracken 2, Ariel Revere 7, Allison Siano 4. Ensworth (71) -- Jamie Allsmiller 15, Brandi Byner 1, Kyara Byner 8, Marie Carpenter 16, Paige Parker 10, Christina Slay 13, Justice Sweet 3, Blaire Smith 2, Mandy Williams 3. The four-time state-champion Lady Saints will play today in their first state title game since 2006 following their 54-45 D2-AA state semifinal victory over Hendersonville Pope John Paul II on Friday at Lipscomb University’s Allen Arena. Briarcrest (23-5) will take on Nashville Ensworth, a 71-51 semifinal winner over St. Benedict, in today’s 3 p.m. D2-AA girls final. Symone Daniels finishes with 16 and six rebounds to lead St. Benedict. Briarcrest (23-5) will take on Nashville Ensworth in Saturday's 3 p.m. D2-AA girls title game. Harding Academy's Alex Black grabs a steal from DCA's Julia Johnson at the end of the Division 2-A semifinals game. Knotted at 56-all with less than 20 seconds to play in the teams’ Division 2-A girls state semifinal at Lipscomb University’s Allen Arena, Nashville Donelson Christian Academy wanted to call a timeout to set up a potential game-winning play against Harding Academy. But Harding senior Alex Black spoiled the Lady Wildcats’ plan and their season, coming up with a steal near midcourt and converting the game-winning layup with 16 seconds left to catapult the Lady Lions to their first state-title game in school history with a 58-56 semifinal victory. Donelson Christian (56) -- Loftis 27, Johnson 12, Bates 15, Bodiford 2. 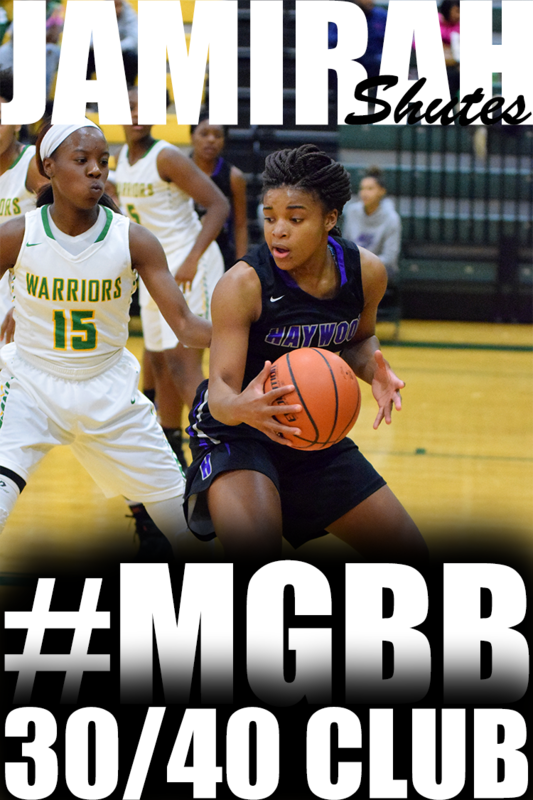 Harding (58) -- Alex Black 14, Christina Brown 15, Ki'ana Christy 4, Kaylah Keys 14, Alle Logan 2, Ashley Rush 9. Records -- Donelson Christian 20-10, Harding 26-6. Central Christian (41) -- Hollander 4, Henry 2, Taylor 5, Ramsey 7, Brewer 11, Cox 12. FCA Nighthawks (53) -- Catherine Brinley 3, Shaney Cunningham 11, Lauren Hoyle 11, Becca Luebbe 4, Anna Matheny 8, Hannah Perkins 15, Regan Perkins 1. Records -- FCA Nighthawks 17-15.
update Harding Academy 58, Donelson Christian Academy 56 will play in state championship game, Harding vs. Franklin Road Academy, 11 a.m. Hoop scoop: Harding's state-title hopes hinge on the play of senior guard Alex Black, a 5-6 Chattanooga signee and D2-A Miss Basketball finalist averaging a D2-A West-best 17.4 points. 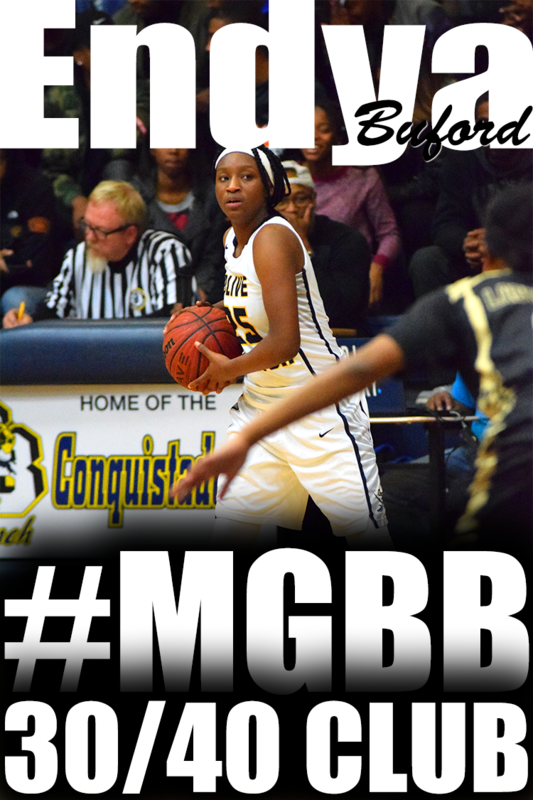 Freshman guard Kaylah Keys (14.5 ppg) is another dependable scorer for the Lady Lions. DCA finished runner-up in the East/Middle Region tournament, falling 37-28 to Knoxville Webb. The Wildcats beat University School of Jackson, 52-45, in substate play. Hoop scoop: St. Benedict has allowed just 38 points per game this season in advancing to its second consecutive state tournament. The Lady Eagles should be very familiar with semifinal opponent Ensworth, which knocked off St. Benedict, 33-22, earlier this season in Nashville. The Lady Tigers also beat St. Benedict, 67-51, in last year's semifinals. 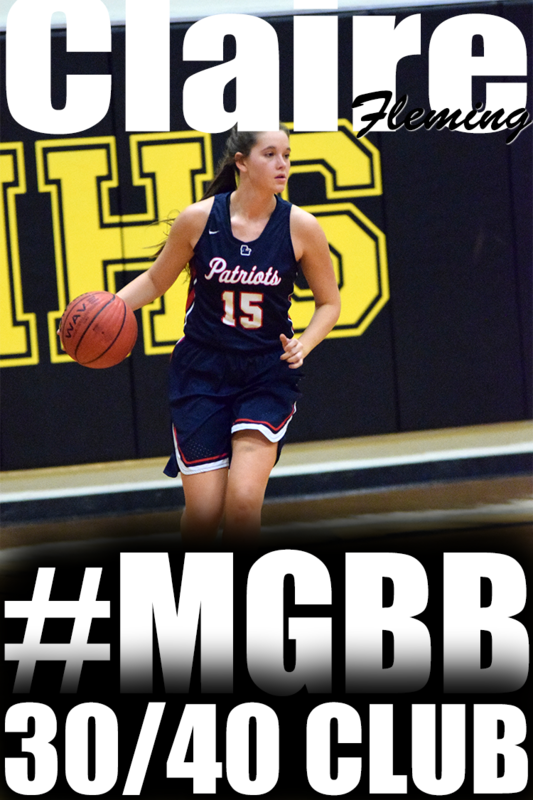 Hoop scoop: Senior guard Anne Panagon's 16 points per game lead four players averaging in double figures for D2-AA West Region champion Briarcrest, which is looking to advance to its first girls state-title game since 2006. 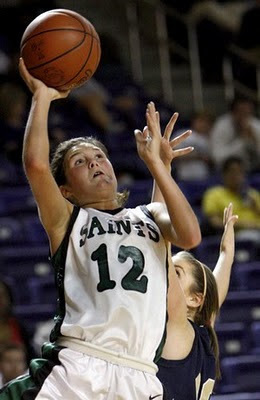 The Lady Saints won four state titles from 1998 to 2004. PJP II is led by D2-AA Miss Basketball finalist Paige Baechle, who set a school record with 40 points last month in a win over BGA. Millington's Jasmine Newsome drives past Jackson North Side defender Monica Womack on her way to a 38-point night in the Region 7-AAA champion-ship game. Overton (51) -- Lakeria Crowder 5, Cornelia Fondren 8, Cortrice Golden 6, Jasmine Robinson 13, Karisma Tyson 11, Orlandria Williams 8. Central (58) -- Danielle Ballard 14, Darianne Butler 2, Michella Carter 3, Nina Davis 19, Jalen O'Bannon 7, Aaliyah Whiteside 13. Records -- Overton 26-2, Central 24-3. 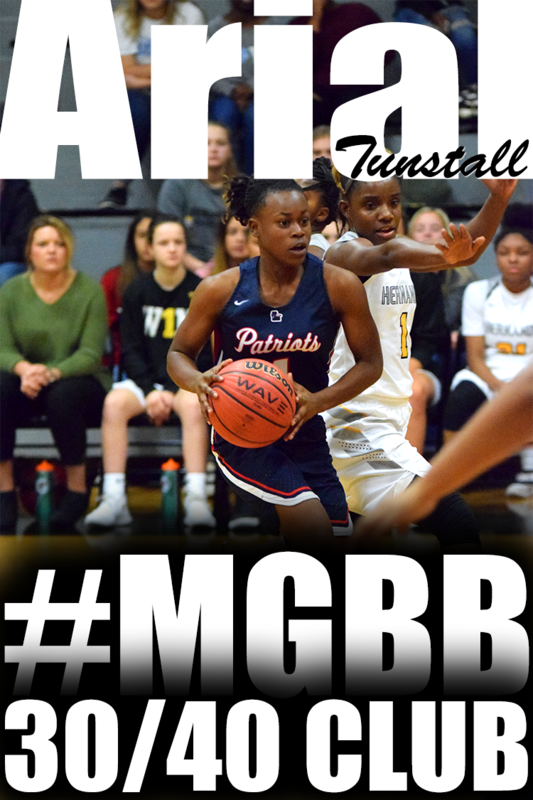 Manassas (83) -- Jamie Bond 11, Lakendra Harris 8, Denise Johnson 10, Tiffany Jones 2, Cratisha Jones 8, Desiree Phillips 26, Jamille Reed 12, Victoria White 6. 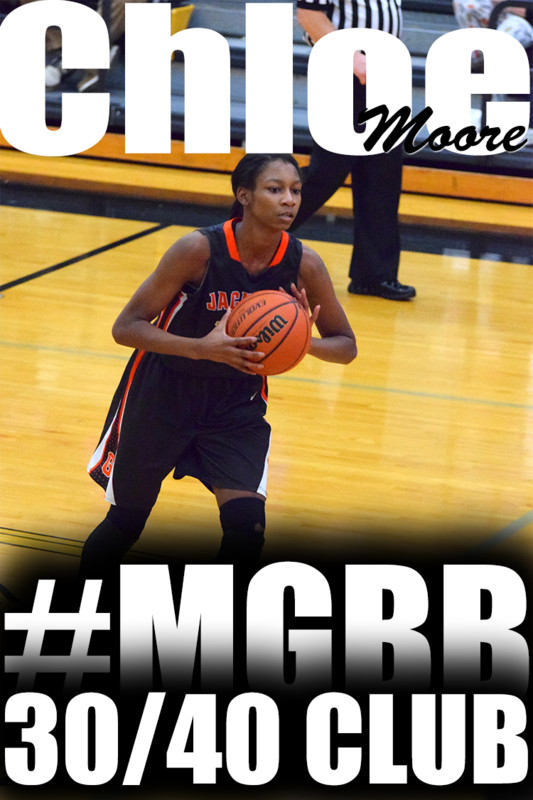 Fairley (89) -- Marquasha Evers 9, Brandi James 19, Daniece Jamison 6, Saraya Maxwell 5, Erica Ousley 42, Erica Watkins 8. Records -- Manassas 24-5, Fairley 29-3. Millington (62) -- Tamarah Brandon 6, Olivia Maddox 6, Nikki Moffett 4, Jasmine Newsome 38, Jasmine Prophet 7, Treasure Redding 1. Jackson Northside (60) -- Jessica Cobb 17, Victoria Douglas 7, Jalita Fason 10, Alex Hill 17, Brendi Stokes 3, Monica Womack 6. Records -- Millington 33-2, Jackson Northside 26-2. Region 8-AAA at Central High School, 7 p.m -- Central vs. Overton. Region 8-AA at Sheffield High School, 7 p.m. -- Fairley vs. Manassas. Region 7-AAA at Bolton High School, 7 p.m. -- Millington vs. Jackson North Side. Arlington (47) -- Camille Alberson 17, Logan Hammonds 4, Ariel Hearn 13, Christyn Hopper 9, Rachel Oaks 4. Jackson Northside (67) -- Jessica Cobb 21, Victoria Douglas 4, Jalita Fason 30, Alex Hill 7, Khrista Pirtle 2, Monica Womack 3. Craigmont (46) -- Kandy Granger 17, Jemil Jefferson 7, Shantingra Jones 11, Kaitlyn McCoy 2, Tori Smith 9. Millington (56) -- Tamarah Brandon 2, Misha Jones 1, Olivia Maddox 2, Nikki Moffett 3, Jasmine Newsome 32, Jasmine Prophet 16. Ridgeway (65) -- Chasity Hamilton 8, Angalica Hampton 2, Hasina Muhammad 23, Odegua Oigbokie 12, Adrian Sanders 14, Tequila Stanton 6. 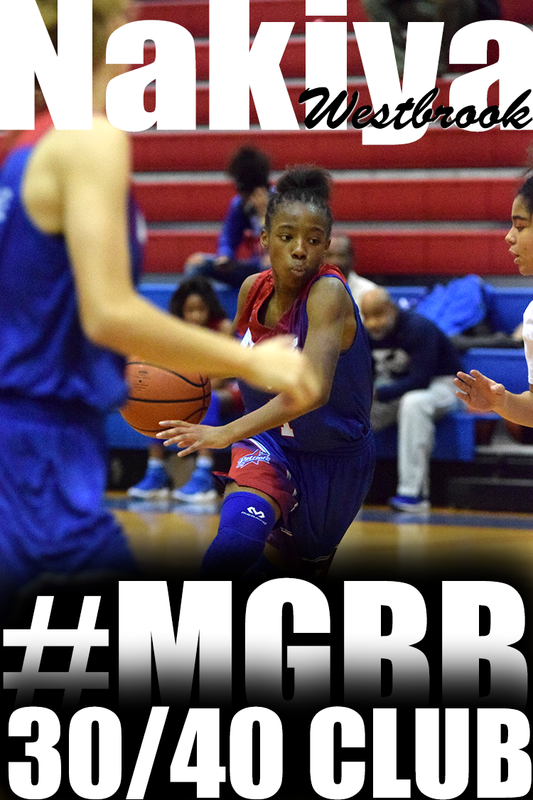 Central (67) -- Danielle Ballard 18, Michella Carter 2, Nina Davis 21, Jalen O'Bannon 6, Aaliyah Whiteside 20. Records -- Ridgeway 22-7, Central 24-3. White Station (40) -- Bria Dillard 8, Ashley Pigram 1, Breanna Ridgell 14, Chetavia Rutherford 6, Jasmine Settles 2, Amber Williams 4, Carnecia Williams 5. Overton (51) -- Lakeria Crowder 1, Cornelia Fondren 5, Cortrice Golden 7, Jasmine Robinson 18, Karisma Tyson 5, Orlandria Williams 15. Trezevant (39) -- Khadijah Beavers 7, Shervonte Bright 4, Barbara Hawkins 9, Fran Montague 2, Lillie Pittman 15, Lakeisha Robinson 2. 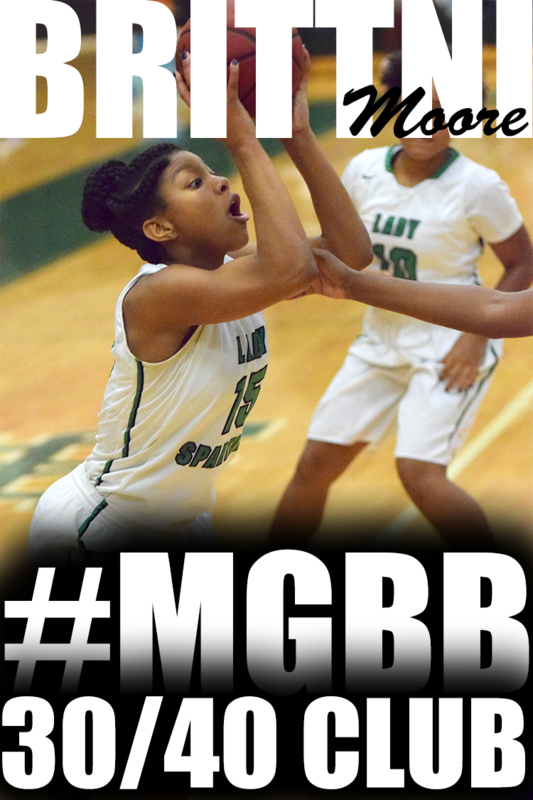 Fairley (55) -- Marquasha Evers 4, Brandi James 5, Daniece Jamison 3, Saraya Maxwell 10, Erica Ousley 30, Erica Watkins 3. Hillcrest (58) -- Tierra Burks 10, Termirica Hunt 17, Tracy James 7, Shemeka Lewis 4, Chasity Richardson 12, Brittany Taylor 8. 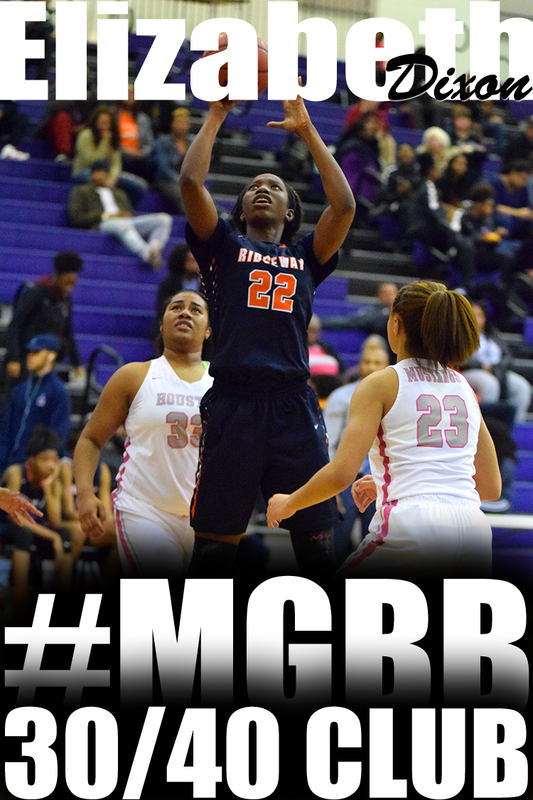 Manassas (61) -- Jamie Bond 10, Lakendra Harris 2, Denise Johnson 7, Cratisha Jones 10, Desiree Phillips 22, Jamille Reed 2, Victoria White 8. Arlington 47 vs. Jackson North Side 67. I almost did not make it out to this. For the past 5 days I have been down and out. I've been so sick that I had decided I must stay in and get caught up on some work and I'll come out to the Regional Championship game. But when it is the last week of play in Memphis and you have the opportunity to witness 2 contests with the amount of Division 1 players, nationally ranked players and a nationally ranked team you have to sacrifice and get to the gym. It does not get any better than this in Memphis, TN. I wasn't the only one thinking like this because Central High School was packed with a nice size group of fanatics.. The first game did not disappoint. Welcome to tournament time and the Regional Champion status is on the line. White Station's zone gave Overton problems. Overton only had 6 points in the 1st. White Station's offense was rocking and rolling with movement but foul trouble was not far behind. Both sophomore Alicia "Red" Payne and senior Carnecia Williams had 2 fouls in the first. Senior Jasmine Robinson found the stroke behind the 3 point line and brought her team within 1 heading into halftime 17-16. Third quarter was a dog fight ending in a 29 tie and the fourth belonged to Overton. Overton won 51-40. Jasmine Robinson lead all scorers with 18 points. The Overton-White Station game was a good one. But the Central and Ridgeway game was THE GAME. This game could have went either way and early on it looked like Central was about to blow Ridgeway out the gym and back to east Memphis. They got up on Ridgeway by double figures early and the game was going so fast I didn't have time to write down how much they had went up on them. Those that took a potty break and came back into the gym missed Ridgeway's 5 steals in the second quarter and converting them into points. They went into halftime down by only 2, 29-27. Ridgeway's junior Hasina Muhammad came out and hit 2 three's in somebody's face and Miss Odequa Oigbokie was a beast on the boards getting 4 rebounds and adding 8 points in the 3rd. But Central's sophomore Aaliyah Whiteside hit 2 three pointers of her own and helped keep the momentum about even for the 3rd. Game tied 47-47. Fourth quarter was what I came to the Regional 8-AAA semi-final contests for. 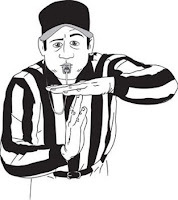 If I would have went with my first thought and went home, did a little work on the computer, ate some chicken noodle soup and snuggled in bed with my remote, I would have missed the most exciting fourth quarter of questionable calls by refs and decisions by players, the most composed freshman player and the almost biggest upset in tournament play. Like I said earlier this could have went either way. And when the horn sounded with 0 seconds, Central was up by 2. I must say this about this player. She played the point position. She made mistakes. She made turnovers. Her coached pulled her out of the game. Her coached chewed her out. This was ongoing during the game. Yet, when it came time to step up. 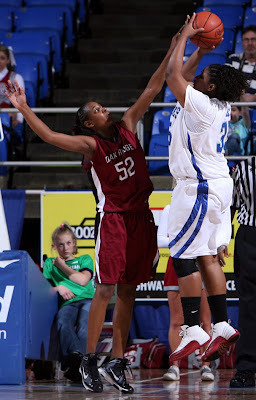 This young lady made 6 out of 8 free throws in the fourth quarter -----as a freshman. Central's Nina Davis lead her team in scoring in the 4th quarter of the game with 8 points and the entire game finishing with 21. Region 7-AAA tournament at Bolton, 6 p.m. -- Arlington vs. Jackson North Side. 7:30 p.m. -- Millington vs. Craigmont. Region 8-AAA tournament at Central, 6 p.m. -- Overton vs. White Station. 7:30 p.m. -- Central vs. Ridgeway. Region 8-AA tournament at Sheffield, 6 p.m. -- Manassas vs. Hillcrest. 7:30 p.m. -- Fairley vs. Trezevant.